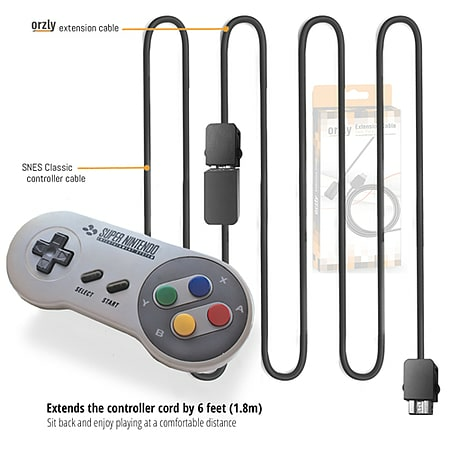 LONGER CABLE: Not satisfied with the the 70cm cable length of the standard controller that came supplied with your console? No problem. Each Orzly extension cable is 1.8M (giving you an extra 6 feet length per extension cable added, so that you can play in comfort). While this is more than sufficient for most needs, you can make it longer still by coupling more than one extension cable together. 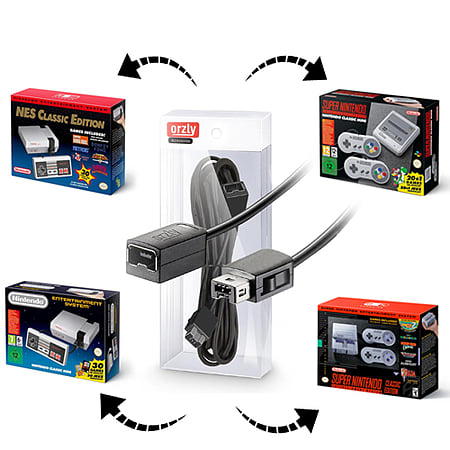 *PLEASE NOTE: THE CONSOLE AND CONTROLLERS SHOWN IN IMAGES ARE FOR USAGE DEMONSTRATION PURPOSES ONLY AND ARE NOT INCLUDED WITH THIS PRODUCT.